"I have found that a story leaves a deeper impression when it is impossible to tell which side the author is on." How do you know what someone is thinking? How they feel? What they really care about—or what they want? You can ask, sure ... but the quality of their answer will depend on the other’s candor, how well they can express their thoughts, feelings, and desires—not to mention how well they even know themselves. Theory of mind is the ability to attribute mental states—beliefs, intents, desires, emotions, knowledge, etc.—to oneself, and to others, and to understand that others have beliefs, desires, intentions, and perspectives that are different from one's own. Theory of mind is what helps you and me make sense of the observed behaviors of other people, whether friends, family, co-workers, strangers, or a spouse. It works when others don't tell us "why?" they do what they do. (And it's often useful even when we are told.) Not unlike the concept of mind reading, theory of mind can even involve game theory, and can help us predict how others will act in the future. And you use theory of mind all the time—whether you know it or not. For product teams, having a functional theory of mind is a powerful asset. This is because knowing what your users—your customers—hope to accomplish with your product is critical to meeting those expectations. Improving your theory of mind is what makes Clayton Christensen’s Jobs-to-Be-Done framework so useful. It’s also why using the SCARF model helps you tease apart motivations, ensuring your customers run to your product—and not away from it. Suffice to say, theory of mind is a powerful tool in the product manager’s arsenal. The more robust your theory of mind, the more adept you become at understanding the expectations of others so you can meet—or even surpass—those expectations with your product. Great! So … What Does This Have to Do With Literature? In 2013, social psychologist Emanuele Castano and then-PhD candidate David Kidd wanted to find out the effect of different types of reading on theory of mind. According to their research [PDF], they had participants read genre fiction (i.e. popular fiction), literary fiction, nonfiction, or nothing at all. Then, they had participants conduct a test that measured the immediate impact on the readers’ theory of mind. Did reading improve the participants’ ability to infer the thoughts and feelings of other people? Not surprisingly, reading nothing at all had no impact on theory of mind—and neither did reading nonfiction. What surprised the researchers was that, while genre fiction also did nothing for theory of mind, reading literary fiction resulted in measured enhancement in theory of mind. Literary fiction, by [comparison to genre fiction], focuses more on the psychology of characters and their relationships. “Often those characters’ minds are depicted vaguely, without many details, and we’re forced to fill in the gaps to understand their intentions and motivations,” Kidd says … [Literary fiction] prompts the reader to imagine the characters’ introspective dialogues. This psychological awareness carries over into the real world, which is full of complicated individuals whose inner lives are usually difficult to fathom. In other words, the power of literary fiction is that it allows us to observe the complex behaviors of others—without the clearcut explanations as to why they do the things they do. When you aren't provided with a narrative explanation, the reader has no choice but to guess—or hypothesize—about what’s going on. In contrast, if the reader is provided a likely explanation (as with genre fiction—and perhaps also with nonfiction), there’s no need to imagine what’s really going on: you’ve already been told! And when an author tells you their reasons, how likely are you to question them? Really, it stands to reason that literary fiction encourages you to you think beyond your experience and imagine the world through another’s eyes. The result? Enhanced theory of mind. An 1833 engraving by Pickering & Greatbatch of a scene from Pride and Prejudice between Mr. Bennet and Elizabeth. Personally speaking, I love to read. My “go to” books are science-fiction—favorites like The Moon is a Harsh Mistress, Hyperion, or even the more recent Three Body Problem trilogy. And when I’m not reading sci-fi, I delve into all sorts of nonfiction (Recent favorites: Never Split the Difference, David Goggins, or Meditations - Marcus Aurelius). See, I've given literary fiction short shrift. But in order to improve my own theory of mind, perhaps it’s time to work into my reading list some Jane Austen or a little Dostoevsky—say, The Brothers Karamazov. Candidly, I picked up Dostoevsky recently but it was a challenging read. I didn't get very far. Perhaps my lazy brain was hoping things might be a little more spelled out. “What think you of books?” said [Mr. Darcy], smiling. Indeed. And just like Elizabeth, the product user's head is always full of something else, too. Though the connection is far from obvious, perhaps that’s the point: challenging your theory of mind through literary fiction could be another way to tease out why your users behave the way they do. You can give it a try by picking up some good literary fiction—here’s a huge list to get you started. We know: reading literary fiction is a commitment. Good news: there could be a broader takeaway ... one that connects directly to FullStory. You see, theory of mind has a lot in common with empathy, a core tenet of FullStory culture. 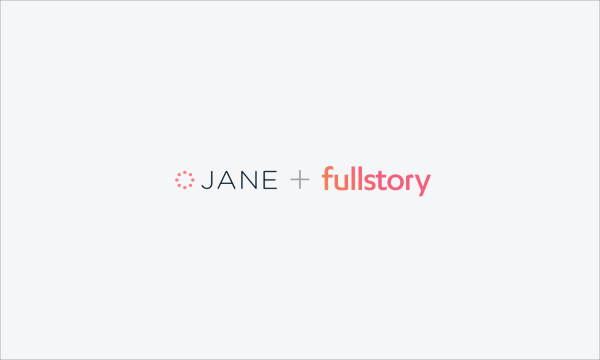 What's more, empathy is core to what makes FullStory so powerful. The ability to re-enact the digital experiences of users, vicariously experiencing their struggles and success, connects digital teams to users in a profound way—perhaps not wholly unlike the experience of riding alongside a wonderful character ... but not always knowing why they do what they do. So if you can't make time to finish reading War and Peace, consider watching a few digital experiences on FullStory. You'll get a first-person perspective of your customers' successes and struggles—and just the right amount of narrative to inspire you with new insights about your users and customers.